A glimpse into our preparatory work shows the variety of products, which we have designed for the most varied of applications over the years. 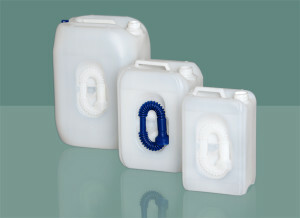 We manufacture thousands of containers in varied designs and colours for a wide variety of applications. Goods are produced 24/7 in a multitude of blow-moulding machines. Our range of services encompasses the processing of selected, high quality raw materials; a multitude of designs, weights, colours and sizes, as well as absolute precision and leak-tightness of the containers and an ability to be emptied completely leaving no residue thanks to optimised design.